Dorset Police is urging anyone in possession of illegal or unregistered firearms and ammunition to make use of its current firearms surrender. Dorset Police is urging anyone in possession of illegal or unregistered firearms and ammunition to continue to make use of its firearms surrender, which runs until midnight on Sunday 26 November. 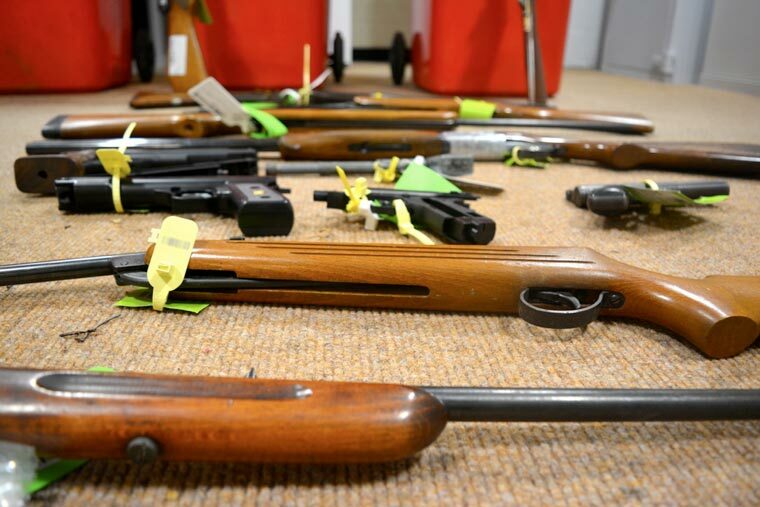 More than 100 firearms ranging from BB guns, pistols and revolvers have been handed in to designated police stations across Dorset since the surrender began last Monday. Led by the National Ballistics Intelligence Service (NABIS), the surrender offers safe disposal of unlawful firearms or ammunition, with no risk of arrest at point of handing in. For clarification, a deactivated firearm is no longer a viable firearm as part of its mechanism has been removed. An imitation firearm looks like a firearm but has never had a firing mechanism. Members of the public may surrender firearms and ammunition to Bournemouth, Poole and Weymouth police stations during opening hours. No firearms or ammunition should be left outside of any police station.